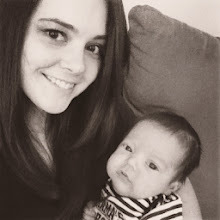 Carrie blogs over at Huggies and High Heels and I have really enjoyed getting to know her so far. I wanted to let you all know how cool she is too! 1. If you could move anywhere, where would you go? I genuinely love living in the south. If I could move anywhere, I would stay in SC, but relocate to the coast. I was meant to be a beach bum. I think my heart belongs in Charleston or Pawleys Island. For everything else: Mint Green. It's my new obsession. 3. What is your favorite Holiday? 5. What is your favorite season? Summer! Like I said, I was meant to be a beach bum! I have a cat, Kitty, that I rescued as a stray almost 10 years ago. We also had a Maltese, Daisy, who was the love of my life, but we gave her away when Weston was born to simplify our lives. That's a decision I regret daily. 7. Do you have a best friend? 8. Do you like sports? Not really. I honestly don't even understand any sports. I do hope that Weston will play at least one sport when he's older though, just because I think it's good for boys. 9. Coffee, yay or nay? YAY. All day, every day. I could not live without it. 10. Who are some of your favorite bloggers and why? Also, my BFF Brittan at A Babbling Brunette, Abby at Is This How Parenting Works, and Ashley at A Thousand Words. They are all great, very entertaining ladies! Want to know how you can join the cool kids? Join the Bigs and Little Blogging Network!